We offer personalized driving programs, which are specifically tailored to your learning abilities, skills, needs and personal goals. Before we commence driving lessons, we will ascertain from you what your personal goals are, your level of driving skill, knowledge and any other relevant information. At the close of each driving lesson, we will give you feedback on your progress. This will be assessed according to a Competency Based Training checklist, which we have developed to track your progress. The Competency Based Training checklist contains a list of driving competencies, which will assist you in accelerating your learning and ultimately passing your driving test. Melbourne Driving Academy is government accredited and registered. All our instructors are highly qualified, government accredited and strictly character referenced checked. The owner, Richard, is an Accredited Assessor and Instructor, and is a respected member of the Professional Driver Trainers Association. He brings with him many years of experience. He holds certificates in Motor Vehicle instruction and assessment as well as formal tertiary qualification in Education and Training (RMIT). He would arguably be the most highly qualified driving instructor in the industry. Our training vehicles are all late model cars, including a brand new Honda Accord Euro, which includes the ultimate in safety features including air bags, ABS brakes etc. All cars come with air conditioning and power steering. Clients will appreciate the comfort, cleanliness, safety and reliability of the vehicles while they are learning how to drive. For your peace of mind, we are also comprehensively insured. Additionally, all vehicles are fitted with dual pedals for the safety and comfort of both the driving instructor, and clients. Automatic and Manual vehicles are available. 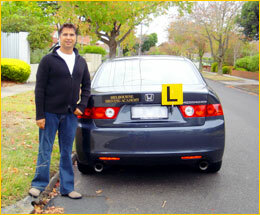 Melbourne Driving School's instructors now cover all Melbourne Suburbs. For your convenience, we have listed some of the suburbs that we cover, and we come to you 7 days a week. You will find our costs very competitive, fair and reasonable. We pride ourselves on outstanding service and quality instruction. For those customers taking the VicRoads driving test, the Melbourne Driving School current pass rate is an outstanding 96%to 98%. This compares favorably to Vic Roads statistics showing the state wide average to be only 50% for other driving schools in Victoria. Call 0414771101 now to make your first appointment! Ask how you can save on our "Package Deal Prices" and let us work out a driving lesson program to suit your budget. Did you know that gift vouchers (for driving lessons) are an ideal present for birthdays, Christmas, graduation or any other occasion? 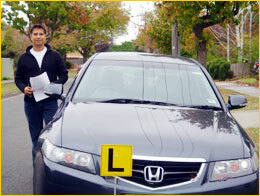 We are pleased to advise that gift vouchers are available through Melbourne Driving School. These vouchers may be bought to any preferred amount. So what better way to give your friends or family members a present than to send them a Gift Voucher from Melbourne Driving School. We will ensure that they get the best driving instruction we can offer at a very competitive price. Please contact Melbourne Driving School for further information.